The estate tax law is a moving target, both at the federal and state level. This month’s Alert examines a case which illustrates how the changing laws can result in unintended results in your plan. Now, more than ever, it is important to review your estate plan periodically to ensure the outcome you want.The amount that can be distributed to children and other non-charitable beneficiaries free from federal estate tax at death is a constantly changing target. In 2000, this amount was $675,000. In 2002, it increased to $1 million. The exempt amount increased again to $1.5 million in 2004, to $2 million in 2006, to $3.5 million in 2009 and an unlimited amount in 2010. In 2011, the tax-free amount was scheduled to revert to $1 million, but the Tax Relief, Unemployment Insurance Reauthorization and Job Creation Act of 2010 (“TRA 2010”), which was passed on December 17, 2011, increased the amount to $5 million for 2011 and 2012. Under TRA 2010, the amount that can pass free from federal estate tax in 2013 is once again scheduled to drop to $1 million. However, President Obama’s budget proposal for 2012 anticipates tax revenues based on a $3.5 million estate tax exemption amount and most Republican tax proposals call for maintaining or increasing the $5 million exemption amount.With the increase by Congress in the amount that could pass free of federal estate tax, many states saw a significant decrease in the amount of revenue they were receiving from estate taxes. As a result of this reduction in revenue, many states enacted their own estate tax or inheritance tax that was completely independent of any changes that Congress might make to the federal estate tax system. As a result, the amount that can be distributed free from state estate tax or inheritance tax varies widely among the states. As a result of all these complexities, it is possible in many states that a decedent’s estate could be distributed to beneficiaries free from federal estate tax, but be subject to state estate or inheritance tax. For example, Massachusetts, New Jersey, New York, and Oregon have estate tax exemption amounts of $1 million. So a resident of one of those states who died in 2011with a taxable estate of $3.5 million would escape any federal estate tax (because the taxable estate is under the federal $5 million exemption amount for 2011), but would have $2.5 million of his or her estate subject to state estate tax ($3.5 million taxable estate minus the $1 million state exemption amount). Taxpayers sometimes have their estate plans drafted to leave the portion of their estate that can pass free of federal estate tax to children or other non-charitable beneficiaries with the balance to pass to one or more public charities, or to a private foundation created by the taxpayers. By doing so, all federal estate tax is avoided and taxes that would have otherwise been paid to the United States Treasury for estate taxes end up being paid to the charitable organizations. Of course, with differing amounts that can pass free of estate tax for federal and state purposes, the goal of paying no estate tax becomes much more difficult, if not impossible, to achieve. In addition, a move by the taxpayer from a state without estate taxes or with an estate tax tied to the federal estate tax exemption amount to a state with its own state estate tax system can destroy what would have otherwise been a perfectly planned strategy. Thus, a taxpayer who employs this type of charitable and estate planning strategy should revisit his or her plan with an estate planning attorney on a periodic basis to determine whether the plan still accomplishes what the client desires. Consider the Wisconsin case of In re Estate of Zarobsky. In Zarobsky, Tillie Zahrobsky executed a codicil (amendment) to her Will in 2000 providing that, if her estate exceeded the amount that can pass free of federal estate tax, the surplus of her estate would be distributed to a local high school to which she had been a longtime donor. She desired the amount she left to the high school to be used for scholarships. At the time Tillie executed the codicil to her Will, Wisconsin had no separate inheritance or estate tax. The amount that could pass free of federal estate tax was $675,000, so the amount of her taxable estate over that amount would be distributed estate tax-free to the high school. At Tillie’s death, the amount that could pass free of federal estate tax had risen to $1.5 million. However, Tillie’s estate was only $1 million at that time. In another twist, in the period between the execution of her codicil and her death, Wisconsin enacted its own state estate tax with a $675,000 state tax exemption amount. As a result of these changes in the law, none of Tillie’s estate was distributed to the high school. It is unknown from the facts whether that is what Tillie would have wanted or not. The high school believed it was not Tillie’s desire that the high school receive nothing from her estate. The high school brought litigation to have the Will interpreted so the amount of its bequest should be measured by the new Wisconsin estate tax exemption amount of $675,000 and not the federal exemption amount of $1.5 million. The Wisconsin Court of Appeals held that Tillie could not have intended that the state exemption amount was applicable, since it was nonexistent at the time Tillie executed the codicil to her Will. As such, Tillie’s gift to the high school failed. Unfortunately, we will never know if that is what Tillie really wanted! Our law firm focuses its practice on estate planning and administration of trusts and estates, including lifetime and testamentary charitable planning strategies. 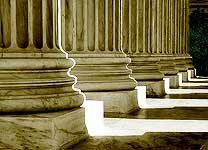 As a member of the exclusive nationwide group of estate planning attorneys, the American Academy of Estate Planning Attorneys (http://www.aaepa.com), we are kept up-to-date of new tax developments as they occur and we receive continuing legal education regarding how to effectively plan for these law changes. You can take advantage of our specialized knowledge by scheduling a free consultation with one of our attorneys for yourself or one of your clients by calling or visiting our website.